Websters Ltd is a long established Tasmanian rural and agricultural products company and the honour roll lists those of the company who served in World War One. It lists 18 names. 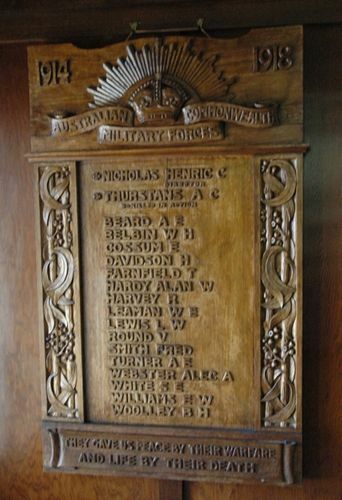 The polished wood honour board has a carved insignia of Australian Commonwealth Military Forces at the top and carved patterns on either side of the carved names.